Directions: Jal Mahal is located in the heart of Jaipur City and a well known tourist spot. Its very easily accessible by all means of transport. You have public transport as well to reach this place. Just ask for Jal Mahal and any local resident would easily give you the directions. 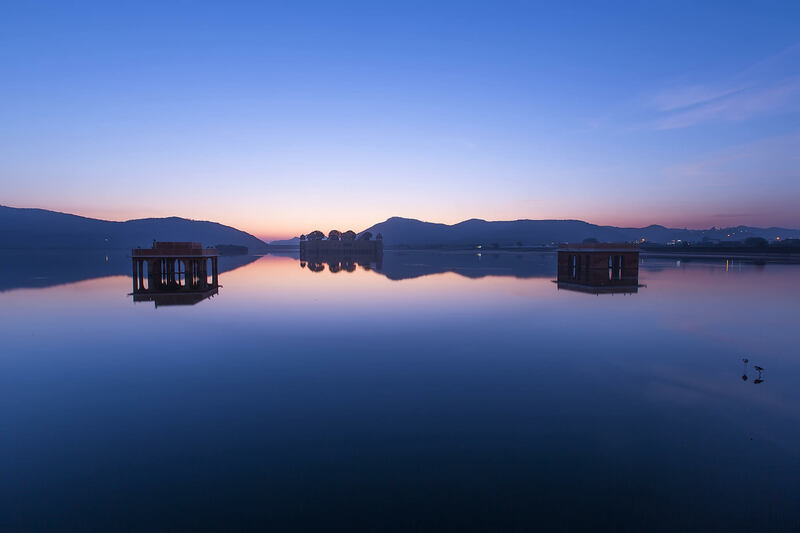 Jal Mahal is located in Mann Sagar Lake. There is a pavement and viewing spots constructed on one stretch of the lake. There is no entry to the Jal Mahal Palace. During mornings mostly you see locals who visit to feed pigeons and fishes in the lake and the morning walkers and joggers. Evening are mostly crowded with tourists. Winter mornings are best time to photograph, if you want to capture the calm lake and sunrise. Jal Mahal is light up night. So late evenings are also best time to photograph at this spot. There is no entry free and use of tripod is allowed. 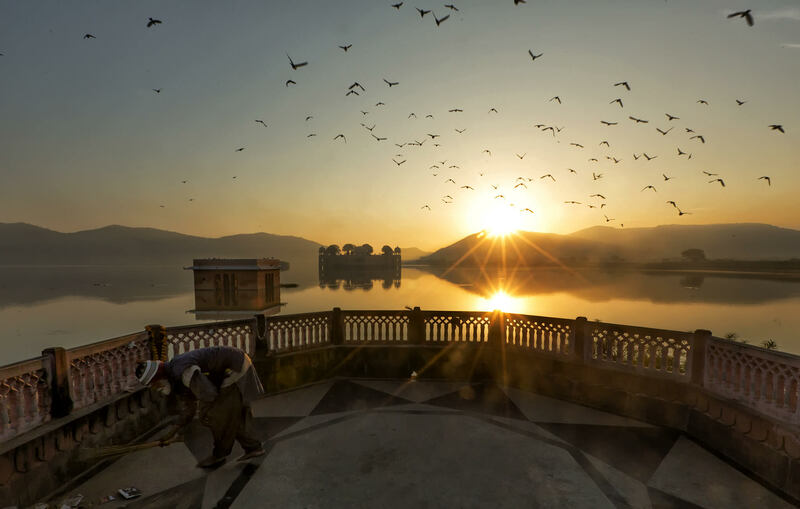 There are many viewing points, so its better to walk along the entire stretch of the pavement from where jal mahal can be seen to find some interesting compositions. You can see locals praying near the lake and feeing the fishes and pigeons. Pigeons keep flying across the lake every now and then, which can add to your photos. 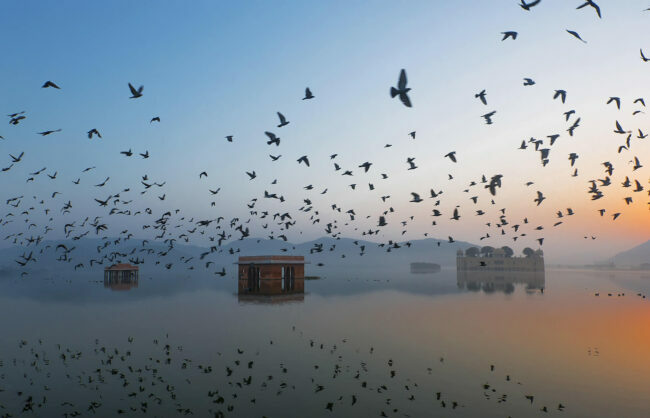 You can see ducks swimming near the jal mahal. A wide angle lens would help you capture the beautiful waterscape of the lake. And a telephoto lens would help you the local peoples activities. Best season to visit this spot is during winter from September to February. 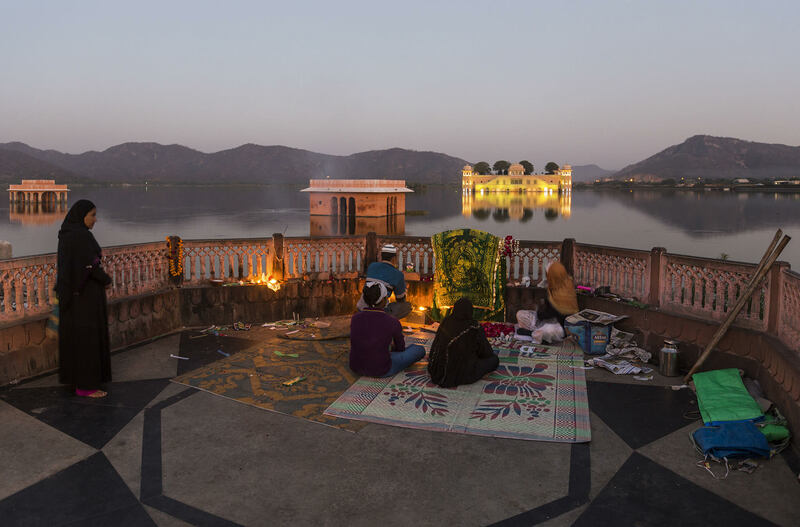 And the best time is from 6am to 8am and And after 4pm to capture the evening sunlight glow on the Jal Mahal, and after sunset to capture the palace lights.